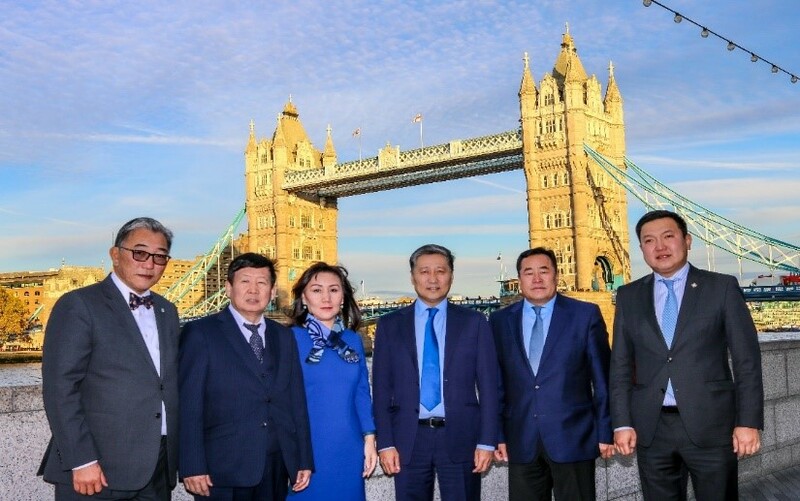 Mongolia-Britain parliamentary group Chairman S.Batbold and delegation of the State Great Hural (Parliament) of Mongolia has paid a working visit to London in 20 October to 02 November 2018 by the invitation of their British parliament’s counterpart. 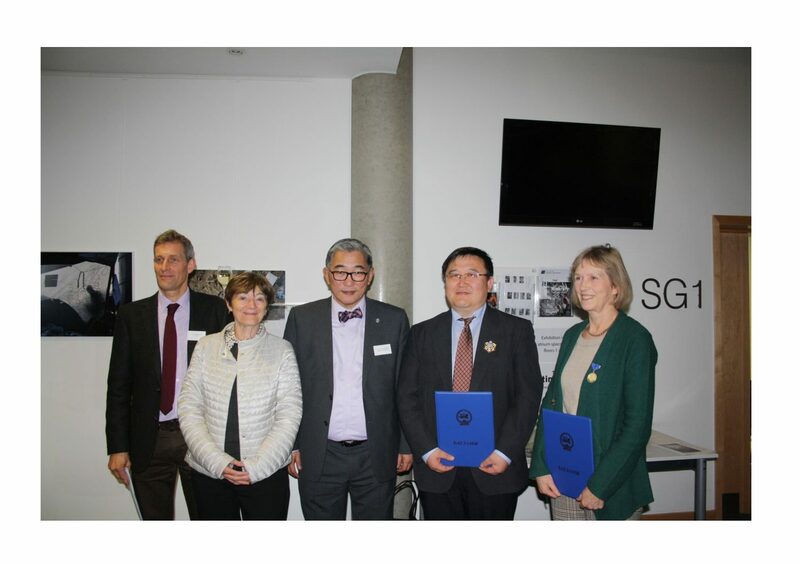 This was the Mongolian parliamentarian’s reciprocation to visit of the delegation of British Group of International Parliamentary Union (BGIPU) of the Westminster in November 2017. During the visit, the SGH delegation has had a courtesy call on the Second Deputy Chairman The Rt Hon. Dame Rosie Winterton MP and had meetings with The Rt Hon Mark Field MP, Minister of State for Asia and the Pacific at the Foreign and Commonwealth Office (FCO) and Mr. Julian Knight MP, the UK Trade envoy to Mongolia as well as a visit to the London Stock Exchange. Mr. John Grogan MP, Chairman of the UK Mongolia All-party Parliamentary Group (APPG) at the British parliament and other members of the group have hosted their Mongolian visitors in a business meeting in where the parties have exchanged their thoughts and ideas on the further prospects of the parliamentary bilateral relations. 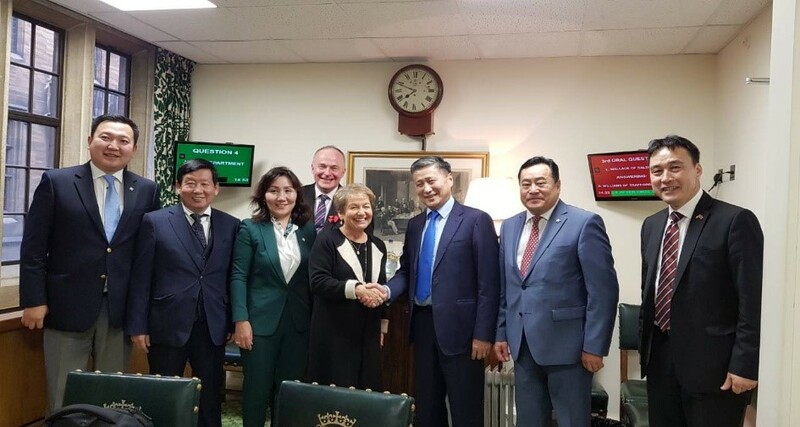 The Mongolian delegation has, moreover, attended the House of Common’s FCO question time in where the State Minister has responded to the question “How do you assess the UK-Mongolia bilateral relations”. 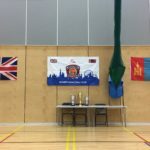 The visit has contributed not only to the further strengthening of the Mongolia-UK bilateral relations, but also to the maintaining of the frequency of the high-level exchange visits. 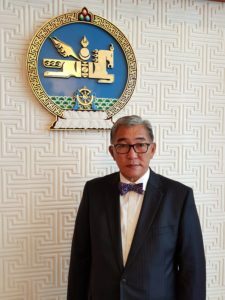 On 11 October 2018, H.E. Mr. D.Tsogtbaatar, Minister for Foreign Affairs of Mongolia, met with Mr. Graham Stuart MP, Parliamentary Under Secretary of State (Minister for Investment), UK Department of International Trade. They have exchanged their views on the current state of trade and economic cooperation and expressed their ideas on how to further expand bilateral relations and exchanged views on current international and regional development. Minister D.Tsogtbaatar underlined that Mongolia is keen to further expand and develop friendly ties with the UK in all sectors including trade, economic, investment and emphasized the importance of cooperation to bring in British investment, know-how, and high technology to Mongolia. The Minister also has requested to retain by the British side the current European Union’s GSP+ trading preference and facilitations for Mongolian export products after the Brexit. Also, the minister proposed to organise a business forum in London next year to further promote partnership between businesses of the two countries. Parliamentary Under Secretary of State (Minister for Investment) Graham Stuart MP expressed his support for Minister D.Tsogtbaatar’s proposals and he reaffirmed that UK Export Finance has announced to provide 200 million GBP funding for Mongolian companies in Mongolian national currency. H.E. Mr. Damdin Tsogtbaatar, Minister for Foreign Affairs of Mongolia is visiting the United Kingdom on 10-12 October to participate in the “Illegal Wildlife Trade” international conference organized by the British government. 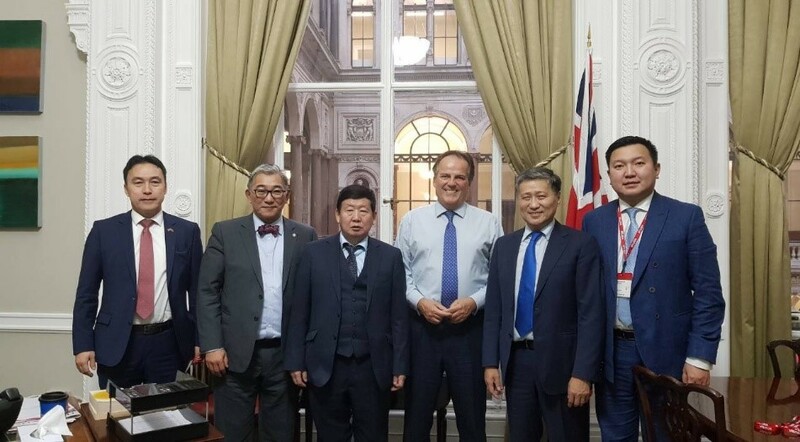 During his visit in the UK, the Minister D.Tsogtbaatar met with Mr. Julian Knight MP, the UK Prime Minister’s Trade Envoy to Mongolia. Minister D.Tsogtbaatar underlined that Mongolia has intentions to expand and develop friendly ties with the UK in all sectors including trade and economic, investment and he has expressed an interest to retain the current European Union’s Generalised System of Preferences Plus (GSP+) trade arrangement and facilitation for Mongolian exporting products to the UK market after Brexit. 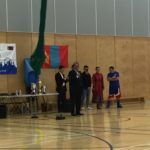 “MONBRIT–2018” basketball competition among Mongolians in the UK was successfully held on 22 September 2018 in London. 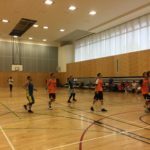 Basketball teams including “MonBrit”, “Tod”, “Manchester Devils”, “Nottingham Robinhood” and “Khiimori” leaded the competition among 15 other teams. 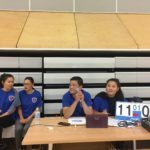 The competition for promoting Mongolians in the UK to unite and collaborate is broadening year by year. Mrs. Unurmaa Janchiv, Cultural Envoy of Mongolia, is organizing a cultural event – Sustainable Fashion – for introducing Mongolian artworks and products on 17–23 September 2018 in London. This event is a partner event of the London Design Biennale–2018 which is being held during the dates of 04–23 September in London and showing amazing artworks and Mongolian cashmere and yak wool products as well as fine jewellery and silk prints by Mongolian artisans. H.E. Ambassador Tulga Narkhuu visited to the opening of the cultural event. As well as designer Oyuna, curator of the London Design Biennale–2018 talked about her exciting project on Mongolian cashmere during the opening of the event. Designers and curators from many countries have actively participated in the “London Design Biennale–2018” exhibition between 4 to 23 September 2018 in London, UK for presenting their creations while exchanging their experiences with others and ultimately learning the latest international development trends. 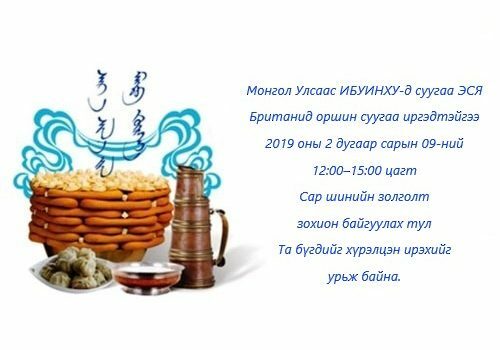 Among them a cashmere garment producing brand “OYUNA” and the “Sustainable Fibre Alliance” are jointly attending to this event from Mongolia. The “Cashmere Cloud”, one of the main attractions of the exhibition was regarded as a unique presentation that has drawn greater interests from both spectators and international media groups. The display of over 40 kg washed and dehaired cashmere, brought in by the “Sustainable Fibre Alliance”, at the exhibition has given audiences with a notion of how soft and fine the cashmere is before turning into garments with a thorough industrial processes including the spinning and threading. This event has opened a new gate way to Mongolian cashmere industries to be recognised by the international audiences. H.E. Mr Tulga Narkhuu has assumed his duty as the Ambassador Extraordinary and Plenipotentiary of Mongolia to the United Kingdom of Great Britain and Northern Ireland on 12 September 2018 and has presented his Letter of Credence to Her Majesty the Queen Elizabeth II on 14 November 2018. He was a Counsellor at the Department for Asia and the Pacific of the Ministry for Foreign Affairs of Mongolia between March 2017-July 2018 after his previous Ambassadorial position to the UK from June 2013 to February 2017, concurrently accredited to Ireland and Iceland. Prior to his first Ambassadorial tenure to UK, Mr. Tulga worked as Director at Department of International Organizations in between September 2012-May 2013, Director at Department for Americas, Africa and Middle East in between July 2012-September 2012, and Counsellor at Department of Policy Planning in between February 2012-July 2012 at the Ministry for Foreign Affairs of Mongolia. Mr. Tulga has served as Head of Mission in Embassy of Mongolia in Singapore from February 2011 to February 2012 after his service as the Director for International Security at the National Security Council of Mongolia in between July 2009-February 2011 and Counsellor at Department for Legal Affairs at the Ministry for Foreign Affairs in between September 2008-July 2009. He has served as the Counsellor at the Permanent Mission of Mongolia to the UN in New York, USA from June 2006 to August 2008 following his service as the Counsellor at the Department for Legal and Consular Affairs of the Ministry for Foreign Affairs of Mongolia from September 2001 to May 2005. Mr. Tulga also has served as the Deputy Chief of Mission at Embassy of Mongolia in Washington, DC in between August 2000-September 2001 after his consecutive positions at the Ministry for Foreign Affairs of Mongolia as Senior officer at Department for Political Affairs from March 1998 to July 2000 and an Officer at the Asian and African Department from August 1995 to March 1998. During his service, he has completed Graduate Diploma program at the Monash University, provided by the Australian DFAT in 1999. Mr. Tulga has served his first overseas post at the Embassy of Mongolia in Beijing, PRC as an Attaché in between June 1992-Aug 1995 after his position as a Desk officer at the Asian Department of the Ministry for Foreign Affairs in between August 1988-June 1992. He first entered Foreign Service of Mongolia in June 1987, after a successful graduation of Moscow State institute of international Relations and worked as an Officer at the Asian Department of the Ministry for Foreign Affairs until October 1988. Ambassador Tulga fluently speaks English, Russian and Chinese languages. He was born on 17 October 30, 1964 and is married to B.Burmaa and has five sons and a daughter. In the first seven months of 2018, the foreign trade turnover amounted to 7.4 billion USD, an increase of 26 percent (1.5 billion USD) compared to the same period in 2017. The balance of trade totaled 851 million USD with exports worth 4.1 billion USD and imports valued at nearly 3.3 billion USD. According to data, a monetary value of the exports went up by 16.9 percent while the imports grew by 39.8 percent compared to July 2017. Mineral products, machinery, equipment, automobiles and parts, food products and base metals compose the majority of Mongolia’s import. The Honorary Consul of Mongolia in Dublin wishes to advise all applicants for Tourist visas to Mongolia that it will not be possible to process visa applications from Saturday 18th August 2018 until Monday 27th August inclusive. All queries should be sent by email to marksherry58@gmail.com.